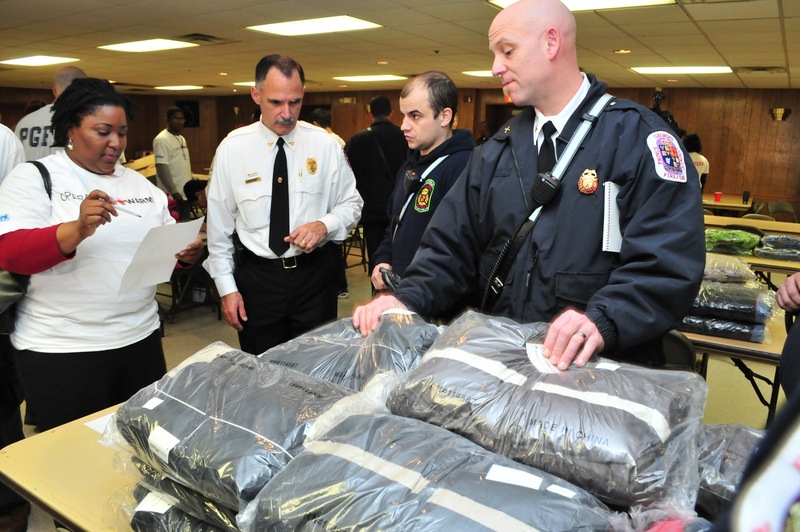 The Prince George’s County Police Department, Lewisdale Elementary School, and the Prince George’s County Fire/Emergency Medical Services Department coordinated a relief effort for the Munroe family, who were victims of a tragic fire in Lewisdale, Maryland on November 27, 2011. A donation drive was hosted Thursday evening at Lewisdale Elementary School that was attended by a large number of members of the community, school staff, public safety and elected officials. Omari Noel was a kindergarten student at the school. School Principal Patricia Belgrave opened the event by commending her staff for a very difficult week and helping to coordinate the evenings event. State Senator Victor R. Ramirez, State Delegate Jolene Ivey, County Councilman Will Campos, Fire Chief Marc S. Bashoor and County Police Detective Charles W. Duelley were on hand to welcome everyone. One resounding message was made by several of the speakers, in both English and Spanish, working smoke alarms save lives and ensure that every home has at least one. The Fire/EMS Department provided free smoke alarms and fire safety information which was well received by members of the community. Several firefighters, career and volunteer, were on hand to answer questions about fire safety. 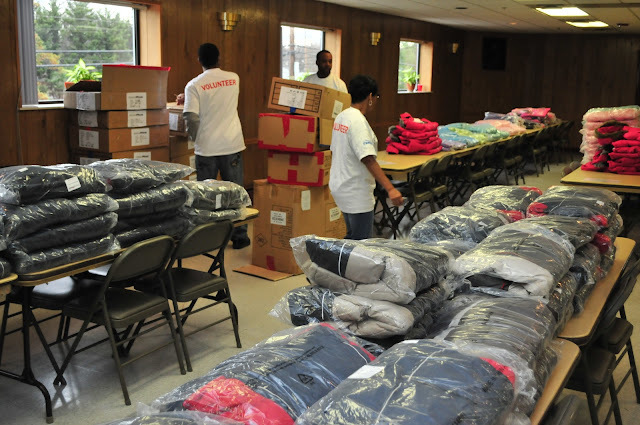 In addition to monetary donations, household items, furniture and clothes were donated. Merle Munroe, the lone survivor attended the ceremony and greeted many people as possible at the event. She lost a sister, daughter and grandson in Sunday mornings fire. Merle Munroe shared with the attendees that her daughter, Simone, and grandson, Omari, had their organs donated so that others may live. 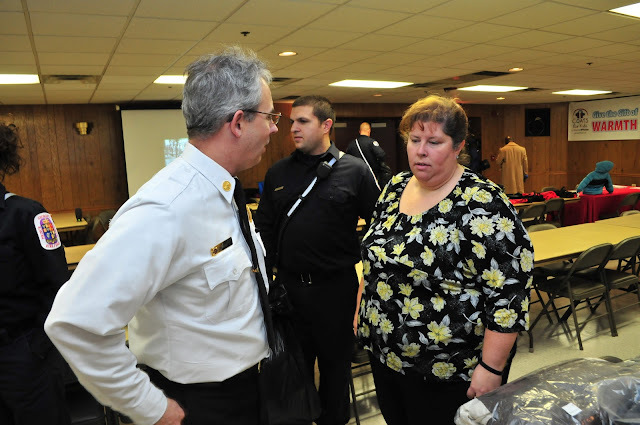 The Fire/EMS Department provided free smoke alarms and provided fire safety information. State Delegate Jolene Ivey, State Senator Victor R. Ramirez, County Councilman Will Campos, Fire Chief Marc S. Bashoor, County Police Detective Charles W. Duelley and School Principal Patricia Belgrave and staff provided welcoming remarks including the importance of working smoke alarm. Sade Davis Former Clinton resident Sade Davis, pictured with her son, Jaden, then 13 months, was rescued by firefighters and paramedics from the Clinton Fire/Emergency Medical Services Station in October 2009 when her car slid off the road and flipped into a creek off Temple Hill Road. Davis, who was seven-and-a-half months pregnant with Jaden at the time of the crash, now lives in Waldorf and works as a chart manager in the emergency room at Southern Maryland Hospital Center, with the same people who had saved her life. Her son turns 2 on Dec. 8. Greg Dohler/The Gazette/Sade Davis Former Clinton resident Sade Davis, pictured with her son, Jaden, then 13 months, was rescued by firefighters and paramedics from the Clinton Fire/Emergency Medical Services Station in October 2009 when her car slid off the road and flipped into a creek off Temple Hill Road. Davis, who was seven-and-a-half months pregnant with Jaden at the time of the crash, now lives in Waldorf and works as a chart manager in the emergency room at Southern Maryland Hospital Center, with the same people who had saved her life. Her son turns 2 on Dec. 8. As Sade Davis was moving belongings from Clinton to her new home in Waldorf in late October, the memories of a car crash that nearly killed her and her unborn child more than two years ago started to surface. A receipt for a maternity photo shoot scheduled at a mall in Potomac. New clothes and earrings that had been purchased for the photo shoot. Flashbacks of going to pick up her best friend in Fort Washington before heading to the mall. But Davis never made it to the mall on Oct. 24, 2009. On the way, her car slid off the road, hitting a tree before flipping over into a creek near the 8900 block of Temple Hill Road in Clinton. Doctors think she might have crashed because of blacking out behind the wheel from low blood pressure caused by the pregnancy. Firefighters and paramedics from the Clinton Fire/EMS station found Davis, who was seven-and-a-half months pregnant, underwater in her seat belt and unconscious. 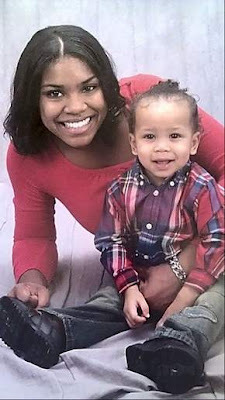 They managed to free her from the car, and her son, Jaden, was born that December. Now Davis, 25, has more to celebrate, as she started work in late October as a chart manager in the emergency room at Southern Maryland Hospital Center in Clinton, the same hospital where she had been a patient after the crash in 2009. “It’s a blessing to see my life come back full circle and work here,” she said. The journey to get her life back on track has not been easy for Davis. Although she suffered no serious, long-term injuries in the crash, in the months afterward she had dizzy spells and blacked out a number of times. Her mother, Cheryl Davis, a former Clinton resident who now lives with her daughter in Waldorf, said that according to paperwork they later received from the hospital, her daughter’s heart stopped beating twice on the way to the hospital after she was pulled from the water. Davis’ story and the rescue by emergency responders also was included by Discovery Channel in an episode in its “Surviving Death” TV series, which aired in March 2010. Also in 2010, when Jaden was 1, he was diagnosed with Type I diabetes. Davis, worried about her son’s condition, decided to leave her job in medical records management at Georgetown University Hospital in Washington, D.C., to take care of her son full-time. The Clinton hospital was one of several places Davis, a 2004 graduate of Surrattsville High School, applied to this year when she decided to return to work. Despite these challenges, Davis said she has a lot to be thankful for in her life. “With Thanksgiving right behind the anniversary of the accident, and Jaden’s birthday being right after that, followed by Christmas, this time of the year is always a big time for reflection,” she said. McDonald was not working the day Davis came into the hospital from the crash, but Davis said she comes into contact with the doctor and some of the nurses who worked her case and remember her from the crash. Davis also keeps in contact with Lt. Dale Giampetroni, one of her rescuers, and the other emergency responders with email updates on Jaden and the rest of her family. Davis said she often drives by the site of the crash. She said Jaden, who turns 2 on Dec. 8, is developing motor skills quickly. Cheryl Davis said she is confident her daughter will fit right in at her new job at the Clinton hospital that played a role in saving her life. “I just truly believe that God saved Sade and Jaden on that day to do special things in their lifetime,” she added. 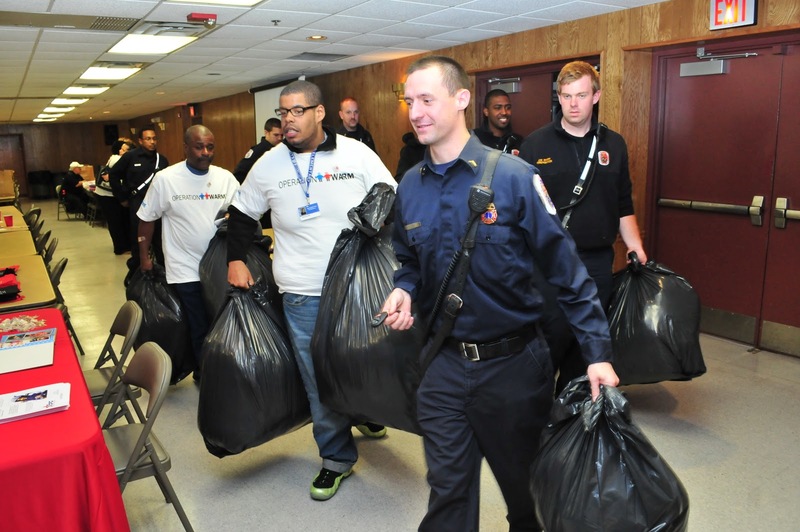 Members of the Prince George’s County Fire/Emergency Medical Services (EMS) Department joined with the County Homeless Education Office, Department of Social Services, students from the University of Maryland, and Operation Warm today, Wednesday, November 30, in distributing 300 new coats designated for underprivileged children. 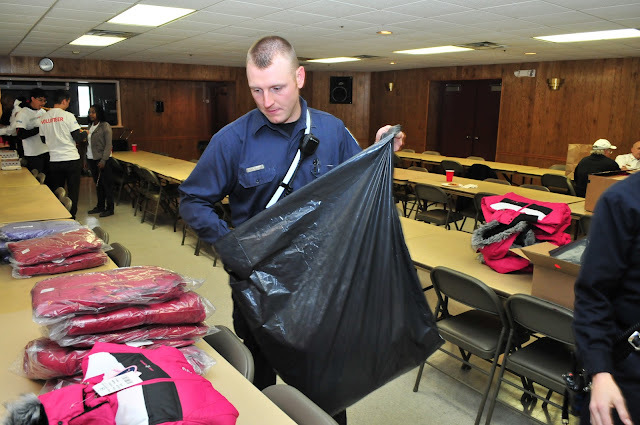 Career, civilian and volunteer members of the Department worked side-by-side with staff and volunteers from the other organizations to fill requests for the new coats. The event was held at Heroes Hall at the Branchville Volunteer Fire/EMS Department in College Park. Career and volunteer firefighter/medics from Branchville, College Park, Berwyn Heights and Greenbelt assisted at the charitable event. 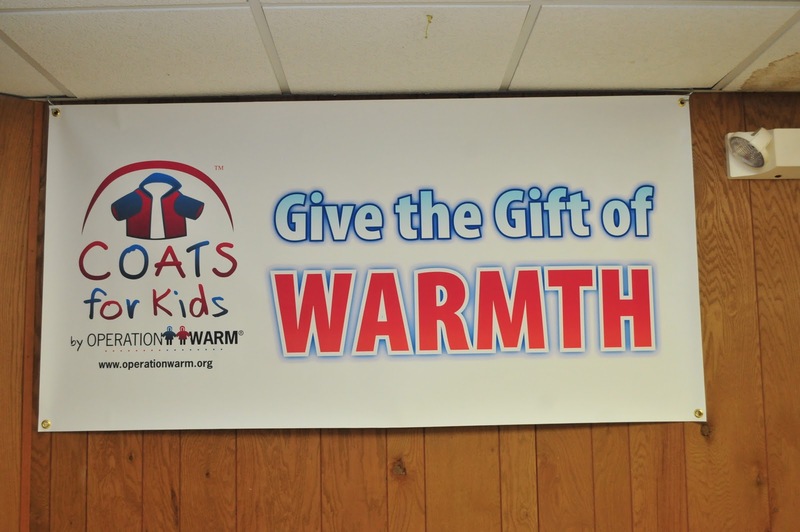 Three hundred pre-identified public school children will receive a winter coat this year through the Operation Warm program. Staff from the Homeless Education Office pre-identified the families in need of these coats and selected the coats at today's event and then delivered them to the children. 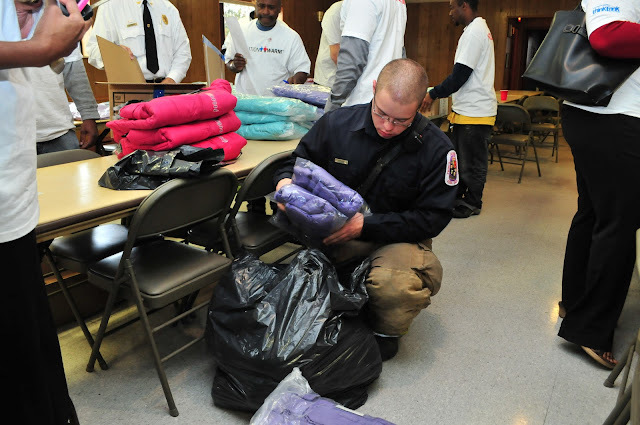 This event will be the distribution of new coats to staff to deliver to children at various locations throughout Prince George’s County. 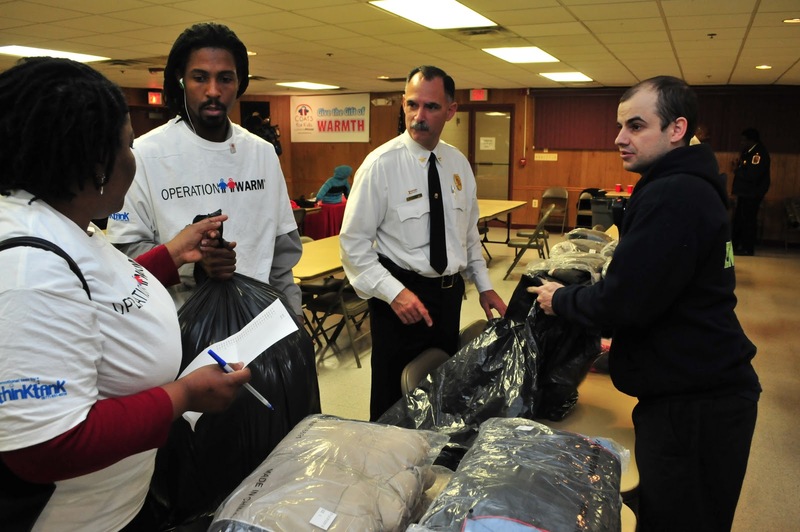 Operation Warm, Inc. is one of the nation’s largest nonprofit providers of new winter coats to children in need. 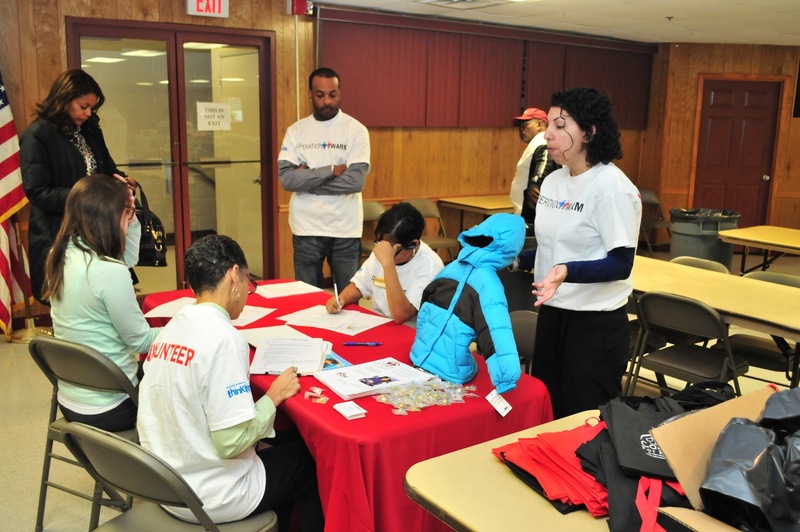 Operation Warm melds its core values of accountability, excellence, integrity, innovation, respect and teamwork with the strength of its community network to reach children across the country. Our vision is that every child wearing a new winter coat is healthy, able to attend school regularly and develop a strong self-esteem. Since its inception, more than 775,000 children have received the gift of warmth, a new winter coat. 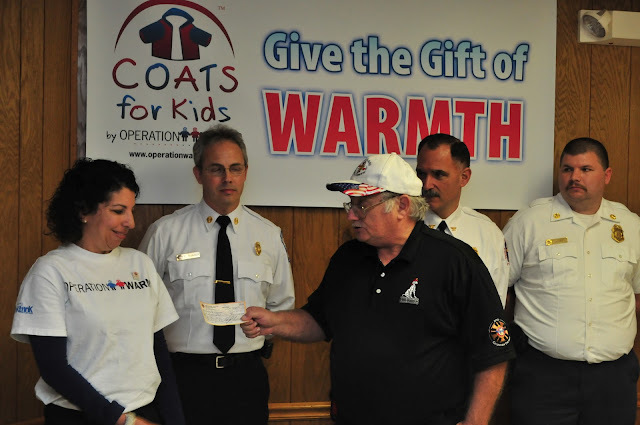 Along with Coats for Kids Foundation (Combined Federal Campaign #52316), a service of Operation Warm, Inc. we will serve our MILLIONTH child by year’s end-a momentous milestone. 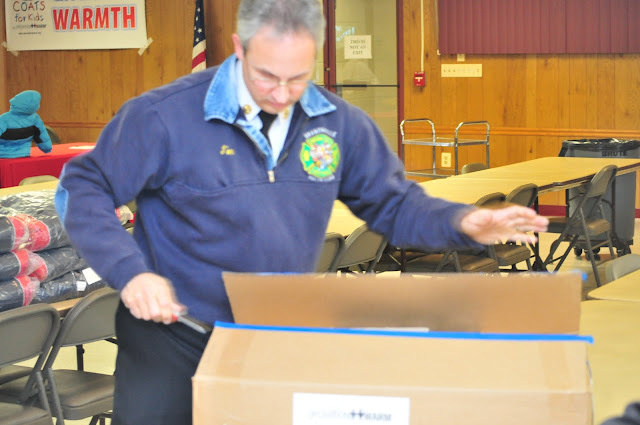 Fire Chief Marc S. Bashoor was among those today helping to fill the bags with orders for boys or girls coats with the requested size. He stated, "We are excited to work with Operation Warm and assist in the selection and distribution of coats. This is our first year working with this generous organization and I look forward to this becoming an annual event." 1-800-Boardup helped to start the event by donating $300 to Operation Warm. Hugh Owen made the presentation on behalf of his company and looks forward to an even bigger donation next year. Three Brothers Restaurant donated ten pizzas for the workers and the Branchville Bingo donated soda and snacks. Dan Gross/The Gazette Fidelia Gaba, a seventh-grader at Montrose Christian School in Rockville, answers questions Friday at the Bowie Library during a run-through of a mock trial of the Triangle Shirtwaist Co. fire, in the role of a survivor, while Douglas Kump, director of debate at Montrose Christian School, in the role of the judge, listens. The 1911 fire at a New York factory killed 146 immigrant workers and spurred national workplace reforms. One of the most horrific workplace fires in U.S. history started 100 years ago on March 25, 1911, in New York City after a dropped cigarette ignited piles of leftover cloth in the Triangle Shirtwaist Co., in what is now Greenwich Village. The fire in the 10-story Asch building killed 146 of the factory’s 500 employees, most of them young immigrant women. That December, factory owners Max Blanck and Isaac Harris, immigrants themselves, were tried for and acquitted of manslaughter charges in the death of one of the victims. On Saturday, community leaders in Bowie, students on the debating team at Montrose Christian School in Rockville, and Prince George’s fire officials will recreate the trial with help from organizers Douglas Kump, a Bowie resident who coaches the debating team at Montrose, and Douglas Adolphsen, who heads adult programming at the Bowie Library. “It’s a great opportunity to learn how to argue, and it helps develop your speaking skills,” said Michael Gaba, 13, of Rockville, an eighth-grader at Montrose, about his role as Max Steuer, the attorney who successfully defended the two factory owners, who were only charged for one death. “I didn’t know anything about this before, but I’ve been watching documentaries and doing research,” said Michael, after the participants’ first rehearsal Friday at the Bowie Library. The mock trials held annually in Bowie began four years ago when Kump met Adolphsen while checking out books at the Bowie Library. Kump was looking for ways to sharpen his students’ skills for debate competitions, and Adolphsen was looking for ways to involve adults in library activities and promote public discussion. Participants do not follow a script but need to thoroughly understand what happened so they can play their parts as lawyers and witnesses in the trial that ended Dec. 27, 1911. Prosecutors failed to convince the all-male jury that the two owners were directly responsible. Many of the deaths were thought to have occurred because managers had locked a ninth-floor door leading to the stairwell on the Washington Place side of the building to prevent thefts of material. “The owners were called innocent, but they weren’t innocent,” said Michael’s sister, Fidelia Gaba, 11, of Rockville, a seventh-grader at Montrose, who plays a survivor of the fire. Fidelia said the owners should have been held accountable for the unsafe working conditions in the factory. 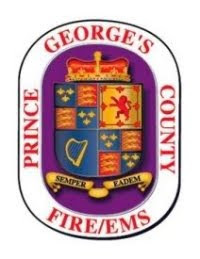 Among the adults participating will be Prince George’s County Fire Chief Marc Bashoor of Bowie, who said he welcomed the chance to play the New York fire chief as a way for the Prince George’s County Fire/EMS Department to interact with the community. Volunteering with him will be Aaron Tyler, a county fire investigator who will play the city fire marshal, and county firefighter Sara Shaffer, who will play a firefighter who entered the burning building. “It also shows how far we’ve come and why fire codes are important,” said Bashoor, noting that the visual and audio fire alarms in the library auditorium would not have been present in the New York building 100 years ago. The Triangle fire spurred more than 30 new labor and fire code laws that helped improved conditions around the country. Last year, Kump and Adolphsen worked with students to present the trial from “To Kill a Mockingbird,” which had been published 50 years before. In 2008, they marked the 150th anniversary of the Lincoln-Douglas debates of 1858 in which Abraham Lincoln challenged incumbent U.S. Sen. Stephen Douglas in Illinois. In 2009, they marked the150th anniversary of the trial of abolitionist John Brown. The Triangle Shirtwaist fire trial is open to the public and will start at 2 p.m. Saturday in the Bowie Library auditorium at 15210 Annapolis Road next to Bowie High School. There is no charge to attend.